Originally uploaded by Cosmic Crusader. How does someone participate in the cupcake swap? 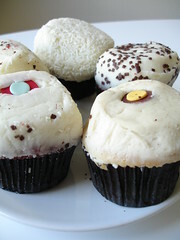 I am trying to get cupcakes from Party Favors in Brookline, MA, and they will not deliver by mail.